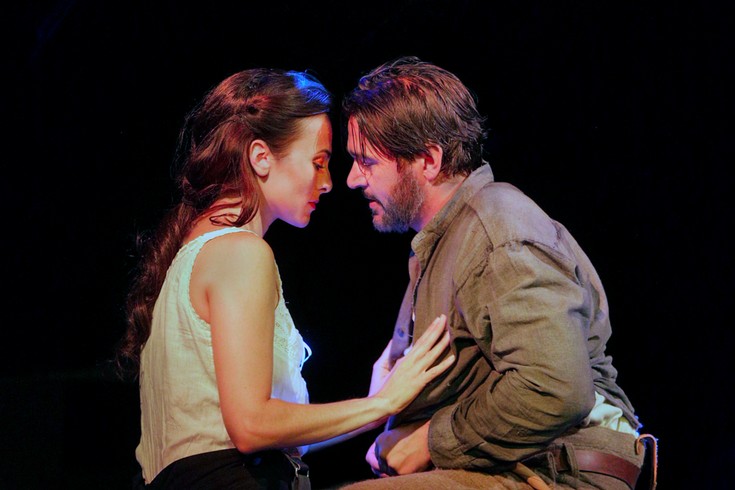 Isabel Leonard (Ada) and Nathan Gunn (Inman) in "Cold Mountain." The program One Book, One Philadelphia promotes the entire Greater Philadelphia area joining together through the reading and discussion of a single book. Each year, the city hosts lectures, discussions, films, workshops, exhibitions and performances that illuminate both specific and universal themes within the featured work. For 2016, Charles Frazier's book "Cold Mountain" was selected, and to celebrate, the Academy of Music is presenting the opera "Cold Mountain" starting on Friday, Feb. 5. Before the East Coast premiere, however, there will be a preview at the Free Library of Philadelphia on Vine Street. On Tuesday, Feb. 2, Frazier and Jennifer Higdon, the opera's composer, will host a discussion before an excerpt and musical composition from the show are shared. There will also be a book signing. Doors will open at 6:45 p.m. for the 7:30 p.m. event, which has non-ticketed seating. As for the opera, there will be a total of five performances in Philadelphia. "Cold Mountain" follows the American odyssey of W.P. Inman, a wounded Civil War soldier who deserts the Confederate Army at great peril to reunite with his love, Ada Monroe, whose once privileged life on Cold Mountain has become one of loneliness.